With iPhone sales under pressure, you’d think there wouldn’t be much to laugh about at Apple HQ. But the company has nevertheless decided to inject some humor into its latest handset ad, which focuses on the camera’s Depth Control feature. Depth Control, which landed with its 2018 iPhones, lets you use a slider to adjust the amount of bokeh, or background blur, to an image that you’ve already taken. 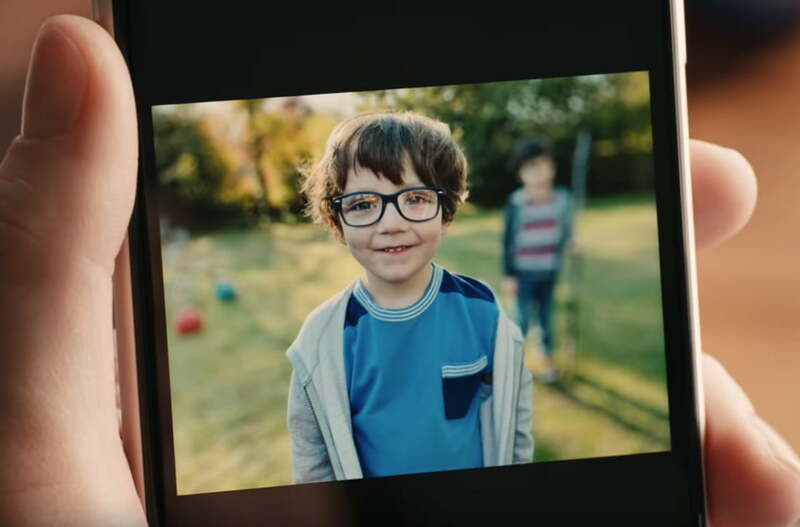 Apple’s amusing ad kicks off with a mother showing a friend a photo of her young son, snapped on her iPhone. “That’s cute,” comments the friend, before asking, “Wait … who’s that blurred out there in the background?” She quickly realizes that it’s her own son. The mother flounders, stuttering something about it being an accident. But it’s too late. The damage has been done, and the situation is fast spiraling out of control. “Why do you hate Jacob?” the friend asks. It’s here that the Depth Control slider enters the fray to save the day. Except that it doesn’t. As the mother demonstrates how you can adjust the bokeh to bring the background — and Jacob — back into focus, the other offended friend slumps back in her seat, asking what kind of person would bokeh a child. It’s 40 seconds of humor-filled awkwardness that shows off Depth Control while at the same time raising a smile. The software-enabled bokeh feature landed with the dual-lens iPhone 7 Plus in 2016, but Depth Control is a new feature that’s exclusive to 2018’s iPhone XS, XS Plus, and XR. Apple describes it like this: “Depth Control on iPhone XS and iPhone XR lets you adjust the bokeh effect on backgrounds before or after you shoot. So you can turn a cute portrait of two kids into a stunning portrait of one kid.” Just make sure the parent of the other child isn’t around when you do it. To use the Depth Control slider, select the portrait that you want to adjust and tap on edit. The slider will then appear on the display with f/1.4 at one end and f/16 at the other, indicating the lens’ aperture settings. Simply slide left and right until you’re happy with the amount of background blur. Apple touts the iPhone camera as one of the handset’s strongest features, though recent data suggests its device is coming under increasing pressure in a highly competitive market. In fact, falling iPhone sales were an important factor behind recent data showing Apple’s first decline in both revenue and profit in more than a decade. Cook cited pressure on the global economy and Apple’s failure to “foresee the magnitude of the economic deceleration, particularly in Greater China” as factors affecting sales, as well as a strong dollar. He added that sales had also been hit by customers “taking advantage of significantly reduced pricing for iPhone battery replacements,” which resulted in fewer people upgrading to the latest iPhones. Increasing competition from Chinese rivals such as Huawei has also added to the pressure on iPhone sales, setting up 2019 for what’s sure to be a fascinating 12 months in the ongoing battle for smartphone supremacy.